I’ve read this piece of writing numerous times in my life. I’ve discussed it in college classes. It has been mentioned or referred to several times in other books I’ve read over the years. Yet, I was reading along, caught up in Shakespeare’s prose. By this point in the play, I am as zoned in as if I were a petty thief, or a washerwoman, or a butcher with blood under my fingernails in the pit at The Globe, watching this play unfold before my eyes. Ariel may have even cast a spell on me from beyond the pale. With all that exposure to these words, these bloody brilliant words, my eyes still sting with tears as if I am reading them for the first time. Maybe it is the spell of Shakespeare, but I am caught completely unawares. As jaded as I think I am, and life has proved to be less than ideal for me, my reaction to this line tells me that I still have a strand of hope twined round my soul. I still believe in dreams. 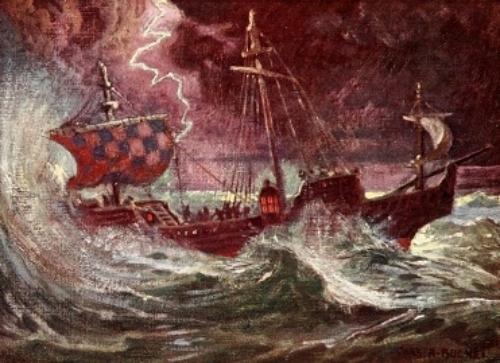 Prospero, through the treachery of his brother Antonio, is deposed as Duke of Milan. He is sent out in a leaky boat with his child Miranda to die, but he does not die and lands on an island where he raises his daughter. He survives through the help of a savage, a Hag-seed (born of a witch), who shows he and his daughter how to survive on the island. When Caliban is overcome with desire for Miranda (he had dreams of repopulating the island with little Calibans), Prospero reacts as many fathers would, by enslaving Caliban through magic acquired from his command of the spirit Ariel. In this time period, writers believed that magicians became powerful through their dominance over a spirit. Wizards did not have power themselves, but only by commanding a spirit to do their bidding. Caliban is an interesting character. Since he was on the island first, he sees himself as king of the island. His subjugation by Prospero can be interpreted as the same type of subjugation imposed upon indigenous people all over the world. Caliban is brutal, physically strong, mentally weak, and vengeful. He knows what is important to Prospero, even more important possibly than his daughter Miranda. It shows how close Caliban and Prospero once were that Prospero would be sharing such dreams with Caliban. Books are what got Prospero in trouble in the first place. Prospero, in other words, had his head buried in books so deeply that he was unprepared for his brother to usurp his place. He was searching for power and, in the process, lost what power he already possessed. Thank goodness the faithful Gonzalo took pity on Prospero and snuck his books on the boat. Nothing worse than being marooned on an island without books. To keep from going mad, I would have to carve what I can remember of the great classics into the bark of wood. Revenge burns bright in the soul of Prospero, and when he gets his chance, he sends Ariel to create a tempest to bring his enemies to him. They just happen to be on a ship passing close to the island. What opportunity be this! King Alonso of Naples, who helped Antonio overthrow his brother, is now on the island. So is his son Ferdinand, his brother Sebastian, and of course, the main focus of vengeance for Prospero, his brother Antonio. Needless to say, treachery abounds among the troop. Antonio actively encourages Sebastian to do as he did and overthrow his brother. What better opportunity than here on an island? Toss him in a bog, or run him through with a sword, or maybe let Caliban eat him. What makes this all very interesting to me is that Prospero, using Ariel, intercedes. Okay, so Prospero and his lovely daughter Miranda are about to get on a boat with all these other duplicitous, backstabbing, certainly untrustworthy, wickedly ambitious people, and he has just released Ariel from his service and destroyed his ability to summon a protective spirit? So what are the chances that Prospero gets slung off into the ocean to be a tasty treat for a swarm of sharks and Miranda doesn’t marry Ferdinand, but becomes his mistress Mandy? There has also been speculation about whether Caliban gets on the boat to sail back to Italy with them. In my mind, Caliban sees himself as the King of the Island, so why would he leave now that his usurper is leaving? Nice parallel with Antonio overthrowing Prospero, and Prospero overthrowing Caliban. 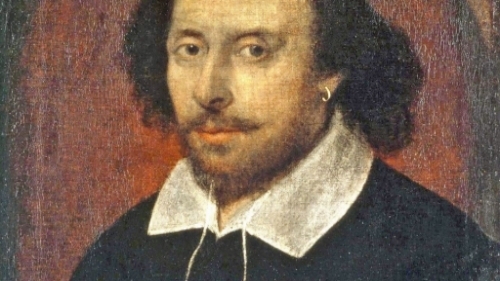 As always with Shakespeare there is much to puzzle on in each and everyone of his plays. I’ve only chosen to discuss a few aspects of the play of most interest to me this time reading it. Next time, it could be several other aspects that catch my attention for discussion. I know there are many who do not appreciate Shakespeare, but he is worth the effort. Read Cliff’s Notes, consult Spark Notes, and read summaries of the plot even before reading the play. The extra work will increase your understanding and enjoyment of any of his plays. Hopefully, once in a while, the Bard will catch you off guard as he does me and touch your reader’s soul with words that lift that weary mantle of cynicism from your shoulders for a brief and beautiful moment.